A powerful argument can be made that Adolf Hitler is the reason why Winston Churchill is so iconic. During his long public life, Winston Churchill played many roles worthy of note – Member of Parliament for more than half a century, soldier and war correspondent, author of scores of books, ardent social reformer, implacable wartime foe, conciliatory advocate of peace and transnational unity, combative cold warrior, painter, Nobel Prize winner. So even without the Second World War, one could argue that Churchill’s extraordinary life and endeavors would remain remarkable. Remarkable perhaps, but certainly less remarked upon. Churchill without the Second World War would be far less well-known. Churchill’s preeminence as a historical figure owes most to his indispensable leadership during the Second World War. And Hitler bears more responsibility for that war than any other single figure. Hence, what the one man had to say about the other is fascinating. Neither man was known for a strong inclination to self-censorship. 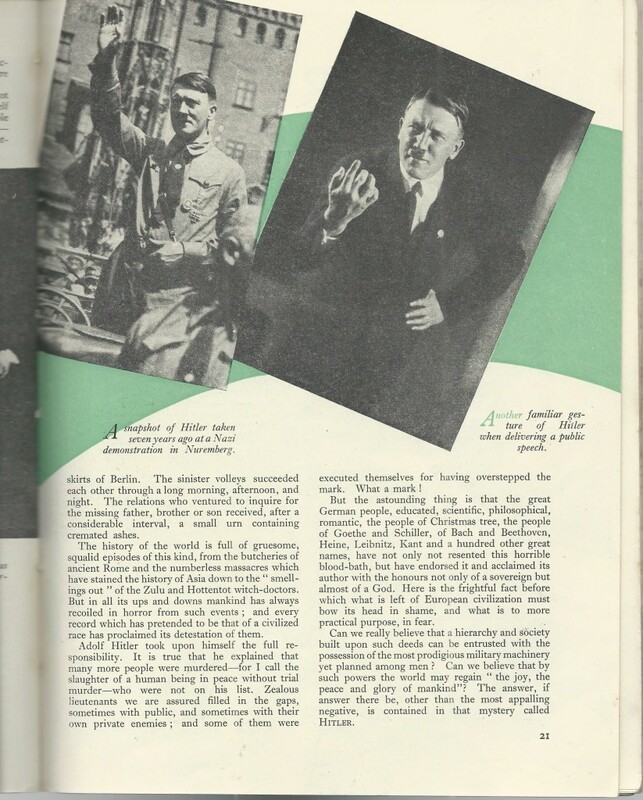 Particularly fascinating is what Churchill had to say about Hitler in an article titled “The Truth About Hitler” published in The Strand Magazine in November 1935. 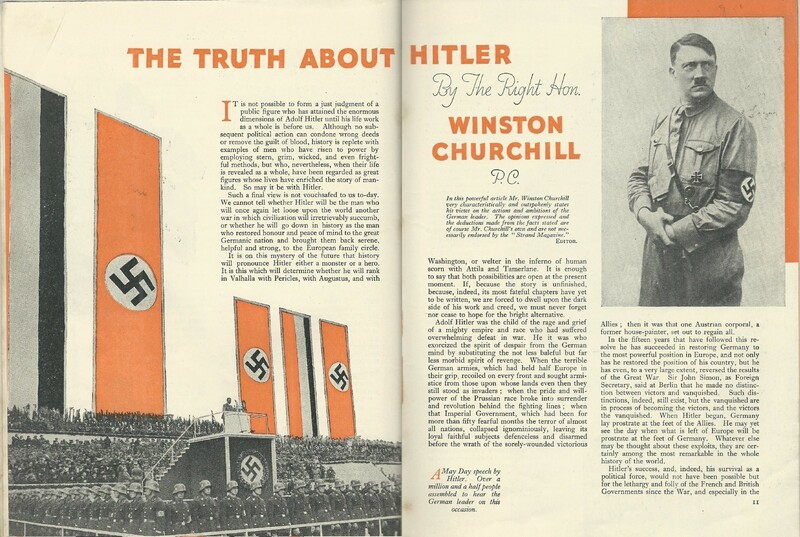 This article is fascinating not just for what it said, but for how it was considerably expurgated and tamed when published less than two years later in October 1937 in Churchill’s well-known book, Great Contemporaries. There, in the form it has become known to most readers, it was retitled as “Hitler and His Choice”. 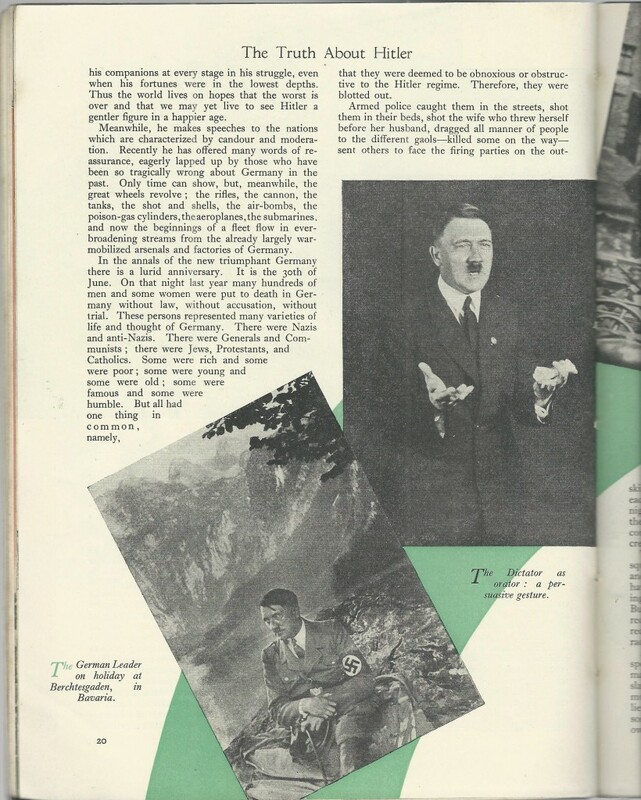 The unexpurgated “The Truth About Hitler” in The Strand Magazine was the headline, featured article. The title and author appeared prominently in bold yellow letters within a red banner across the upper front cover. Within, the article spanned pages 10 -21 and included 24 photograph illustrations. “The Truth About Hitler” is perhaps a window into the deep outrage and genuinely fearful concern of a quintessential man of action both caged and provoked, rattling the bars of his cell to call attention. 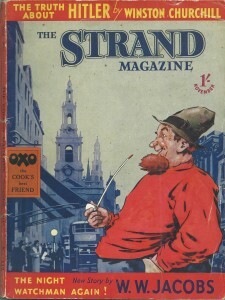 The Churchill of 1935 had full, even prescient knowledge of the imminent danger to his country, but remained confined to the political exile of his “wilderness years” with his voice substantially relegated to the parish pulpit of periodicals rather than the bully pulpit of national leadership. 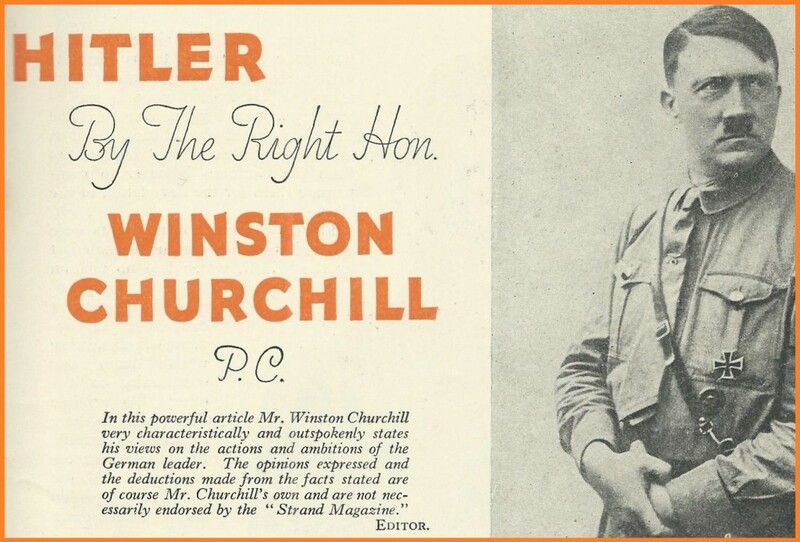 The comparatively tamed and truncated version of Churchill’s profile of Hitler published in Great Contemporaries in 1937 is a marked contrast. Ironically, Churchill’s 1937 version can be seen as a more conciliatory and restrained appraisal of Hitler, perhaps reflecting Churchill’s earnest desire to avoid the war that he would fight with such ferocious resolve only a few years later. 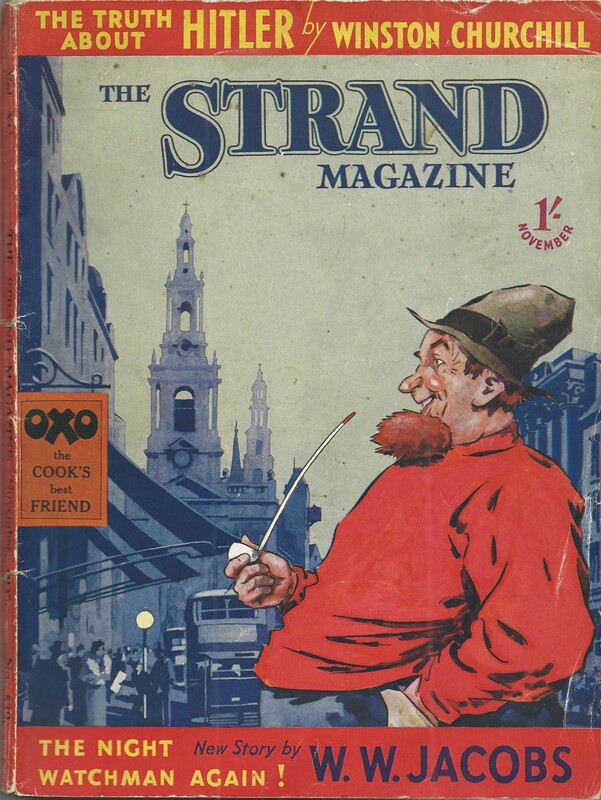 We will provide scans of all pages of “The Truth About Hitler” in the November 1935 issue of The Strand Magazine upon request.